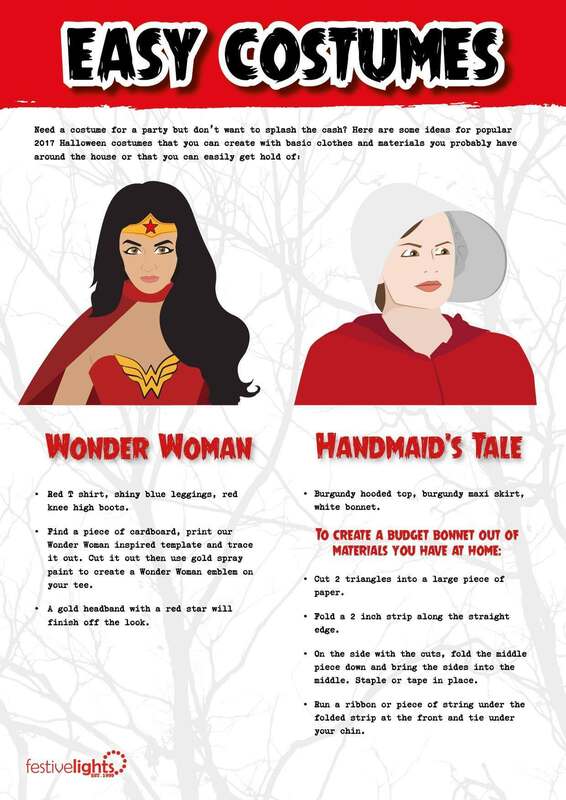 Last year we created a Halloween Party Pack designed to help us poor “grown-ups” throw the best Halloween party we could, and you guys loved it. 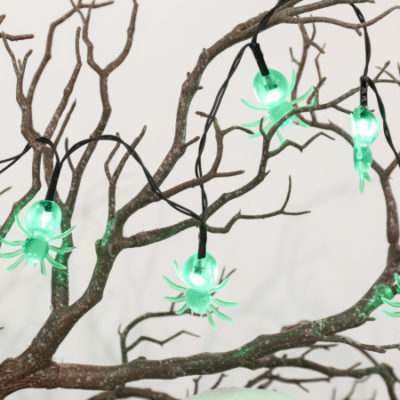 In the time since we launched that pack though, we’ve come up with a few new ideas that may inspire you to throw a Halloween party of your own that isn’t designed just for the kids, only the young at heart. 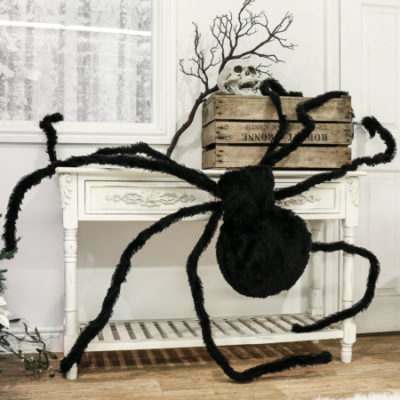 Check out some of our favourite ideas below or scroll right to the bottom to download everything, including tips on what devilish décor you can devise, guides to create homemade Halloween costumes, inspiration for terrific tipples you can serve, horrifying games to play and even templates to design your own pumpkins. 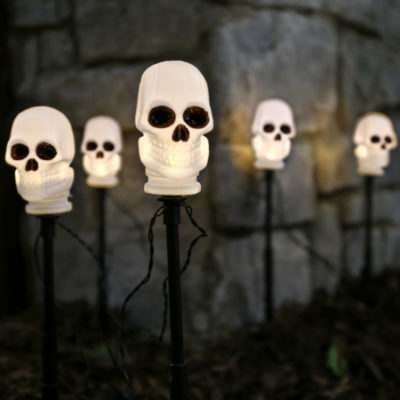 Give your guests a fright before they’ve even reached the front door with our Garden Ghouls: ethereal spirits created out of chicken wire, an old sheet and a dimly glowing solar light or flickering fairy lights. 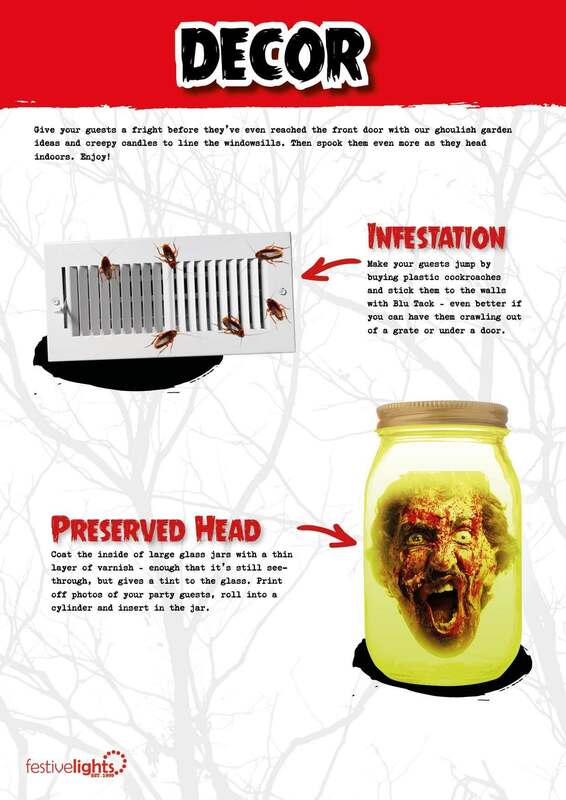 To creep everyone out, an Infestation of cockroaches would make anyone feel a little skittish and a Preserved Head in a jar, especially one that takes the form of your guests, will add that extra finishing touch to your gory horror scene. 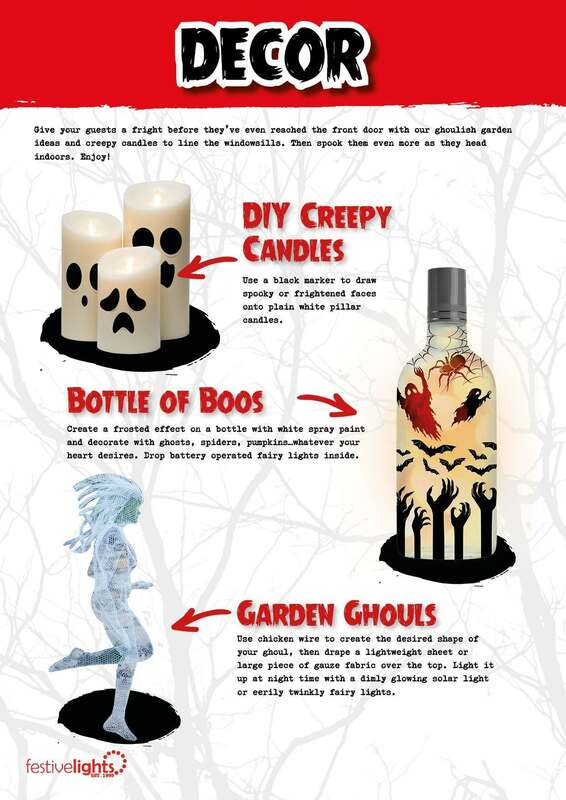 If you’re wanting to keep the atmosphere jovial, our Bottle of Boos and Creepy Candles will do the trick. What kind of a party would it be without the drinks? 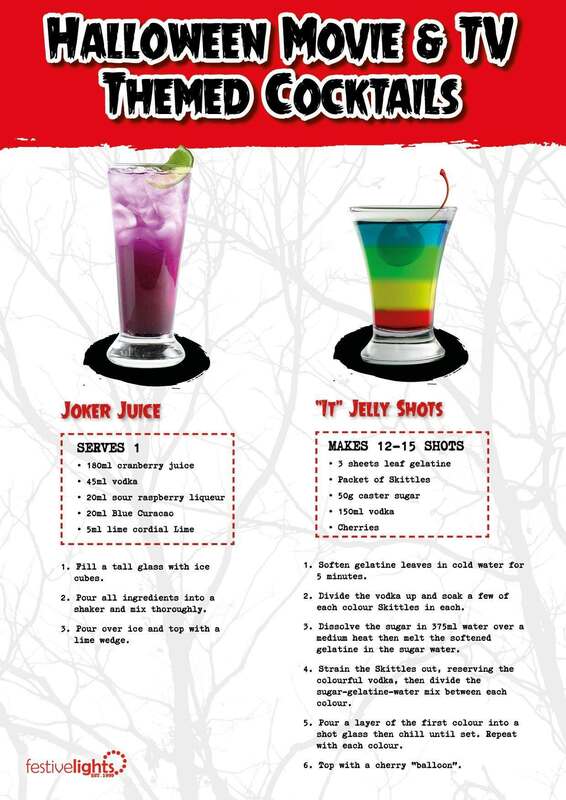 We’ve created a few fun cocktails based around popular Halloween movies, TV shows and characters. 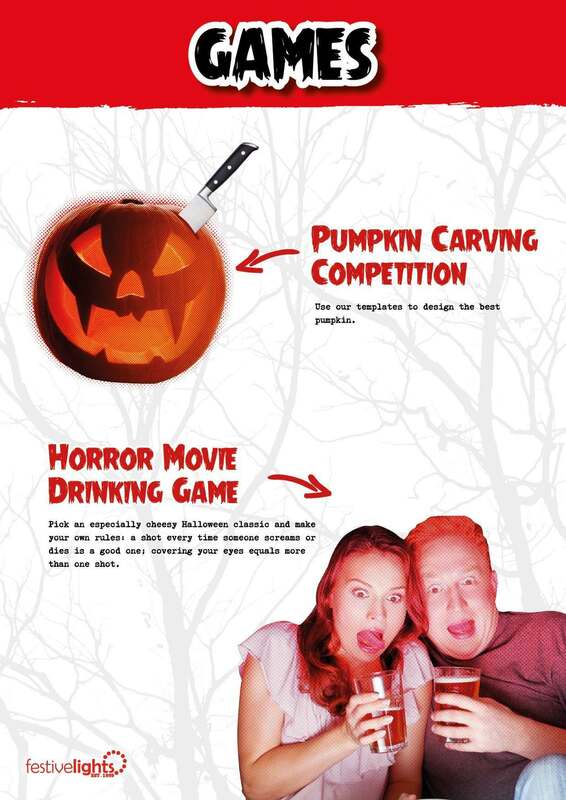 Serve these gory glasses up to your guests as part of a movie inspired game – can they guess which movie or show these tipples are inspired by? 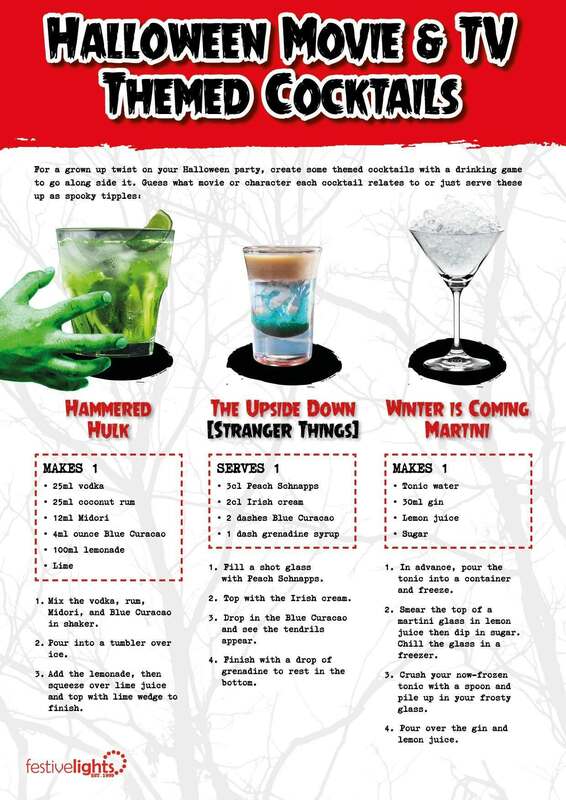 From the Hammered Hulk with vodka, rum, midori and more to The Upside Down with Irish Cream creating tentacles in the Blue Curacao and Peach Schnapps mixture, topped off with grenadine “blood”, your guests will love these. 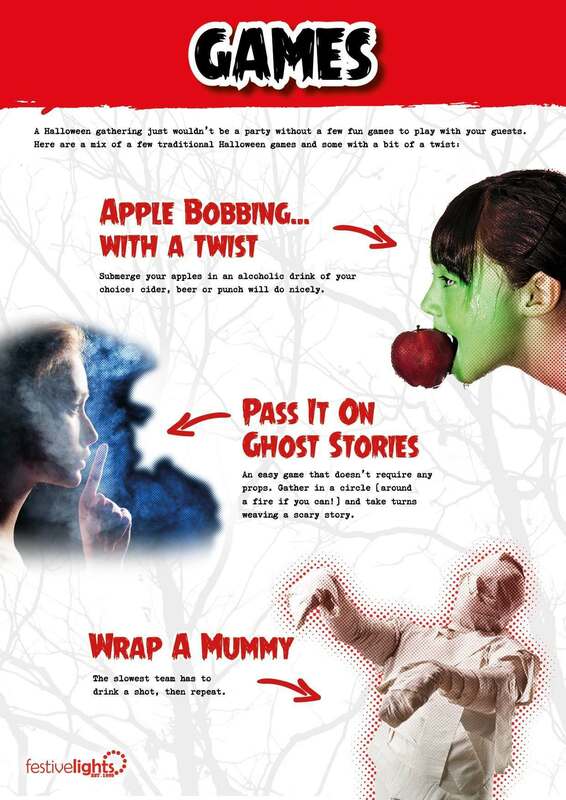 It just wouldn’t be the same without a few fun games to play between the costumes and cocktails, so have fun with apple bobbing, wrapping mummies and carving pumpkins with our own templates. 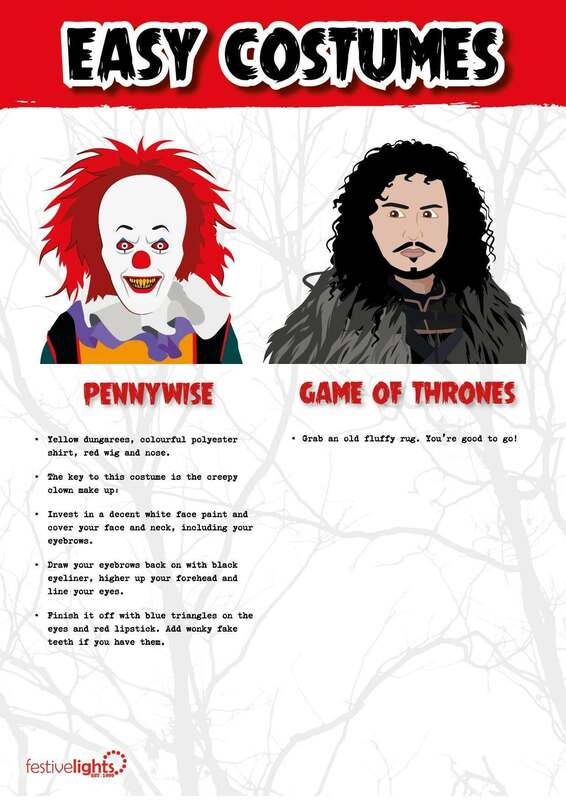 To find these templates, click the link at the bottom of this blog to download and print our Halloween Party Pack for Grown Ups. 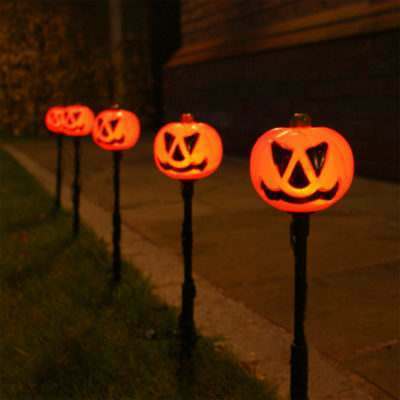 Hopefully we’ve given you some fresh ideas to help you throw a fantastic Halloween party in 2018, and be sure to send us some pictures of your Halloween party!